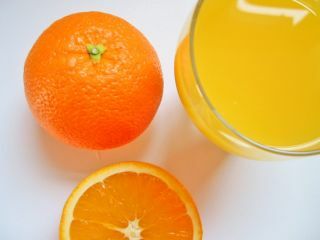 Soon, you may be able to power up your mobile phone or Apple iPod using a glass of orange juice. Researchers at St Louis University in the US state of Missouri have developed a battery that is powered by sugary drinks. The battery is to be used in notebook computers and other portable devices. It contains a fuel cell with enzymes that transform sugar to electricity, leaving water as a by-product. Thus, the battery can be powered by any sugar-based fluid such as fruit juice or plant sap. Similar fuel cells have already been developed by other researchers but none are as effective as these batteries. The newly developed cells, which are biodegradable, are said to offer a battery life three to four times greater than today's conventional batteries. "This shows that renewable fuels can be directly employed in batteries at room temperature to lead to more energy-efficient battery technology than metal-based approaches," study leader Shelley Minteer, an electrochemist at the university, told PhysOrg.com . "It demonstrates that by bridging biology and chemistry, we can build a better battery that's also cleaner for the environment." The battery has been tested with a number of sugar-based drinks and it seems it works best with non-fizzy drinks. The best option is to use normal sugar dissolved in water, the research team said.